Charming waterfront cottage located at the mouth of Meachim Creek. 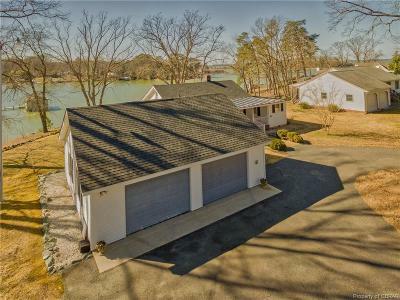 The home is situated on an elevated lot with expansive views of the Rappahannock River. The home offers 2 bed, 1.5 bath, fireplace, generator, and a 2-car detached garage (780 Sq. Ft). Newer roof and heat pump. Located just minutes from the town of Deltaville and Urbanna. Just a short boat ride to the Chesapeake Bay! Directions: Take Rt 33 Towards Hartfield. Turn Left Onto Rt 3 (Greys Point Rd), Then Turn Left Onto Long Point Ln. House Is On The Left, There Will Be A Sign.